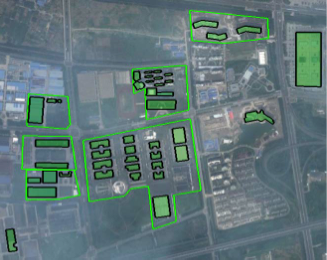 The Wujin National Hi-Tech Industrial Zone (WIZ) is a business district located in Jiangsu Province, China that covers 39 square miles (100 sq km). Currently, there are about 3,800 enterprises from more than 30 countries with operations in the District. 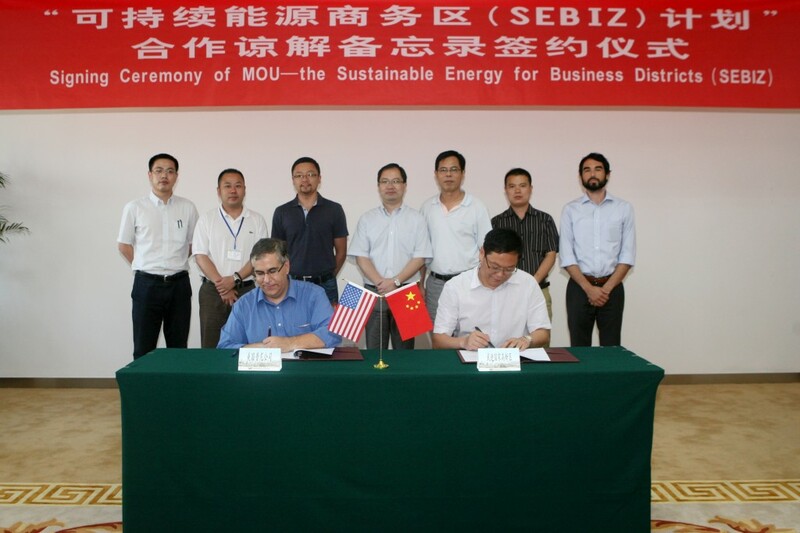 WIZ became the first official SEBIZ business district when top officials signed a memorandum of understanding describing their commitment to pursuing more clean energy upgrades for businesses operating in the district. WIZ is an ideal location for energy efficiency and renewable energy (EERE) retrofits due to the large number of viable commercial buildings and supportive stakeholders, including the local government. Left Photo: Left: Benjamin Foster, Senior Vice-President, Optony Inc.; Right: Lu Qiuming, Deputy Director of the Administrative Committee of WIZ. Right Photo: WIZ officials receive Letter of Recognition from the U.S. Department of Energy for their participation in SEBIZ. In 2013 and 2014, the SEBIZ team conducted commercial building energy audits for 46 facilities across 11 sites in WIZ, which covered nearly 9 million square feet of gross floor area and an additional 3.2 million square feet of roof area. 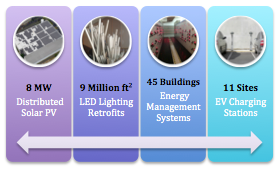 The goals of the energy audits were twofold: 1) benchmark current energy usage in order to quantify future energy savings and 2) identify high‐potential opportunities for EERE technology deployment. Through on‐the‐ground technical assistance provided by Optony Inc., participating building owners received individual Energy Action Reports that summarize findings from the energy audits and provide detailed information regarding EERE project opportunities. The SEBIZ team identified three high‐impact clean energy technologies for retrofits: solar photovoltaics, LED lighting and building energy management systems, and included electric vehicles charging stations to support a related policy priority. If all recommendations were implemented the impact would achieve an estimated 31% net reduction in electricity consumption and carbon emissions, which totals approximately 16 GWh and 13,500 tCO2 annually. If these results were extrapolated to include the entire district, city, or even province, the impact could significantly contribute to the region’s achievement of its energy and environment goals under China’s 12th Five Year Plan. There are additional clean energy project development opportunities in WIZ, but the SEBIZ program is focusing on the top three high-impact opportunities that are immediately actionable. After the SEBIZ participants in Wujin received the information necessary to take action and pursue recommended EERE projects, the SEBIZ team facilitated project development through the issuance of a Request for Qualifications on behalf of the commercial building owners. The desired outcome of the RFI was to establish contractual relationships between buyers and vendors for current and future clean energy project development opportunities. Institute for Building Efficiency. Effectiveness of Energy Retrofit Methods in Public Buildings in China. March 2012.